A beautiful day - sunshine, garden, fountains, and pretty ladies. Even more with the show being held in the Versailles. And even much much more with the private, invitation-only exclusivity of this enchanted world of the Kings and the Queens. This is what I mean. 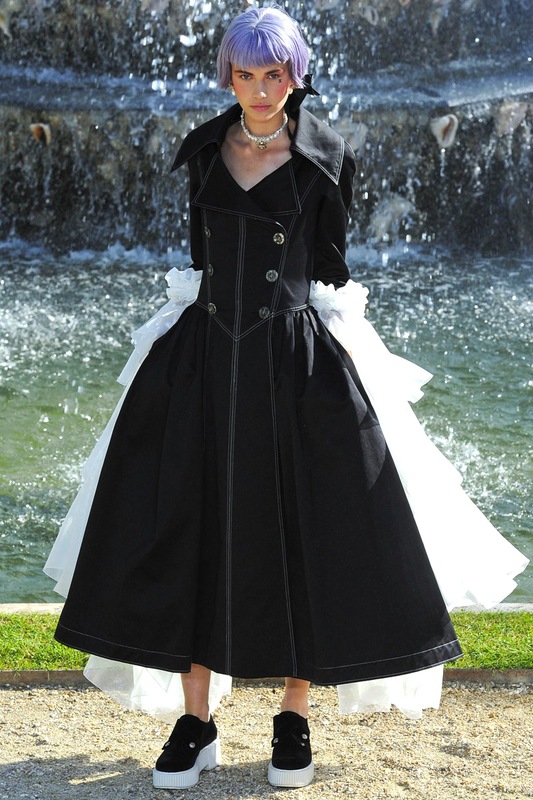 The seventeenth centuries French-inspired super cute and fabulous dress with the shoes. Oh no.. Still some classic Chanel tweeds. Colours are mainly on the soft pastel hue. More emphasis on the waist line, and plenty of embroideries here and there. Look at those great legs.